Rev. Moa Imchen and his family came from San Francisco to First Baptist Church of Hudson, NH to serve as our Pastor, beginning July of 2014. They are originally from Nagaland, a small corner in the north eastern part of India. Moa’s educational preparation for ministry began at Eastern Theological College in India. Moa taught Old Testament and biblical languages at a seminary in India before coming to Union Theological Seminary, in New York, for his Master of Sacred Theology in Hebrew Bible. He is finishing up his PhD dissertation in biblical studies, specializing in Old Testament at the Graduate Theological Union, Berkeley, CA. 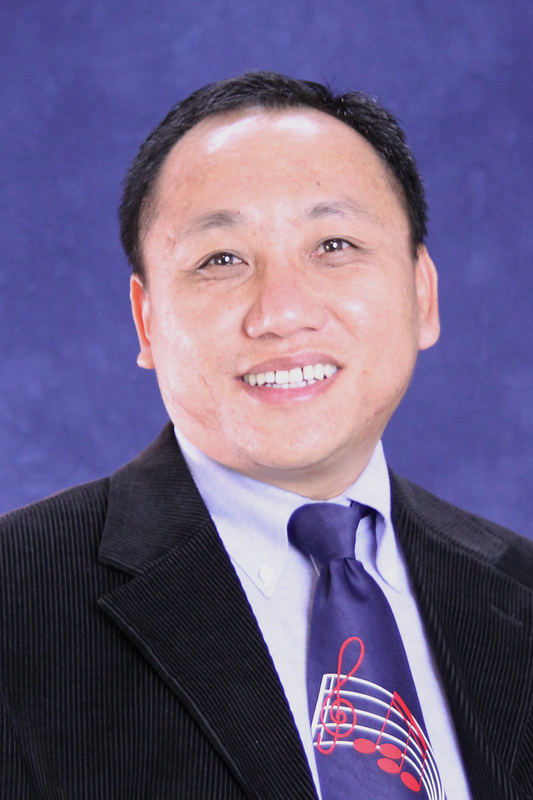 He was ordained at First Chinese Baptist Church of San Francisco in 2010. He served as English Pastor at the Chinese United Methodist Church in San Francisco beginning in September 2009 and led his last official worship service there on April 20, 2014. He also served as Assistant Minister at First Baptist Church, Antioch, CA, 2004-2006. Besides his church ministry, he also taught biblical Hebrew at San Francisco Theological Seminary, San Anselmo, CA from 2006 to 2009. He also has been engaged in preaching ministry at several other churches in the Bay area. Pastor Moa believes his call to ministry is to work as a minister, teacher, mentor, spiritual guide to the believers to help them grow from being disciples of Christ to becoming disciplers of others in Christ. As Jesus described the Kingdom of God as growing from a mustard seed to become a large fruit bearing tree, Pastor Moa wants to be part of the mustard seed miracle of God’s new life—called for the realization of God’s Shalom. He is passionate about being an effective intercultural leader, bridging between people of different generations, ethnicities, and walks of life. He senses that God has called him to minister and to facilitate the holistic growth of the community of believers and to build an authentic faith community that is committed to reaching out in mission—that embraces the beauty of diversity, that is loving, friendly and open, and to live out Christ’s mission in the world. Moa and Akum met at Seminary in India. 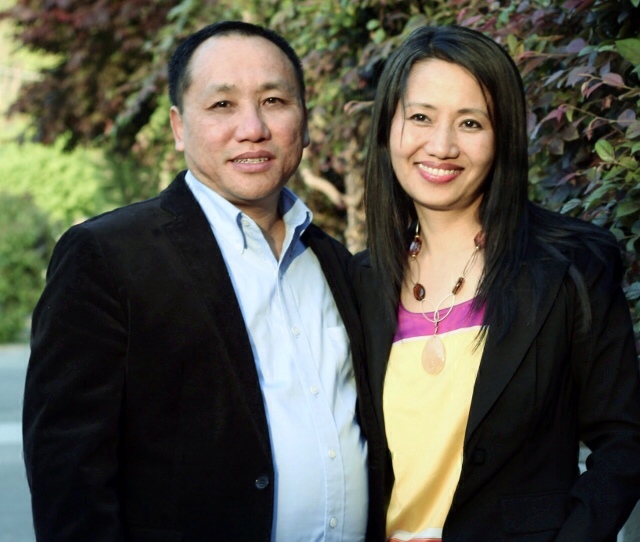 Akum was raised in the mission center established by the American Baptist missionaries in Nagaland. After high school she followed God’s leading to devote her life to following Christ. Akum comes with her ministry experiences as an active lay person and a youth and young adult minister in a Baptist church in Nagaland, and currently she is doing a doctoral program in Homiletics (Pastoral Preaching) at the Graduate Theological Union in Berkeley, CA. They are blessed with two wonderful children. Ain Imchen, will enter High school and Sanen Imchen, will be in 8th grade in the fall of 2014. The coming of Pastor Moa and his family to First Baptist Church of Hudson, NH is a remarkable story. It is a story of the Gospel coming full circle. They are the results of the seed sown by the American Baptist missionaries in Nagaland in the 1870s. Now, God, in his amazing way, is bringing them as missionaries to serve at First Baptist Church of Hudson, NH. As a hobby, Pastor Moa likes reading, photography, playing basketball with Sanen, collecting vinyl records and listening to music on his turntable. Want to learn more about the country (Nagaland) where Moa and Akum are from (originally)? Click here to view a video from American Baptist International Ministries for World Mission Offering 2012, which describes the history of Christianity and Nagaland. To view the video recording of Pastor Moa’s Service of Installation, which took place on October 19, 2014, click here. To review the article carried in our local newspaper, covering Pastor Moa’s Service of Installation, click here. I envy the church to have such a wonderful pastor and his family! We anxiously await the day! May God’s Kingdom reign from shore to shore through this family!